Daleys Fruit Tree has Plants for Sale to Bonogin and can Mail Order them to you door. Click to Find out how much Freight Will Cost. Flat-leaved parsley is preferred by some as it easier to cultivate, being more tolerant of both rain and sunshine and has a stronger flavour. 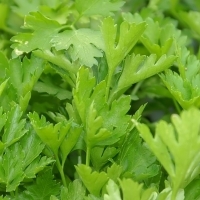 Freshly chopped green parsley is used as a topping for soups, salads and as a flavouring for many dishes. In the garden parsley is attractive to beneficial insects. 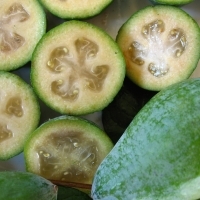 A very ornamental small bushy tree bearing egg shaped green skinned fruit that have a pleasant flavour. The scarlet flowers in spring are very showy and are sweet and edible. 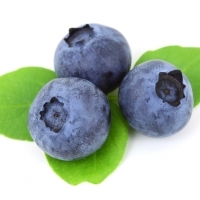 Excellent quality large fruit. Very low chill requirements and self-pollinating. A tough and vigorous bush. It has grown well in both sandy soils and heavier loams. 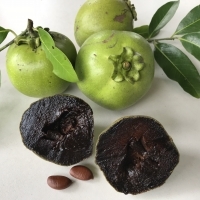 The fruit has a wet scar, and is likely to become soft during very hot weather, meaning that it needs to be harvested frequently to overcome this.